My mother told a pie story frequently. She was a young bride. 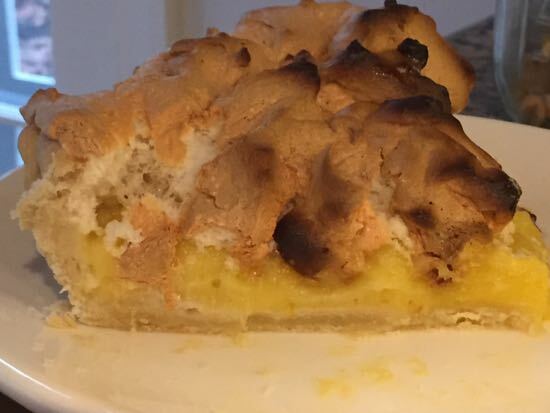 She decided to make a lemon meringue pie. With her Sunbeam mixer on high, she whipped egg whites in the milky glass bowl. A pinch of cream of tartar and showers of sugar. 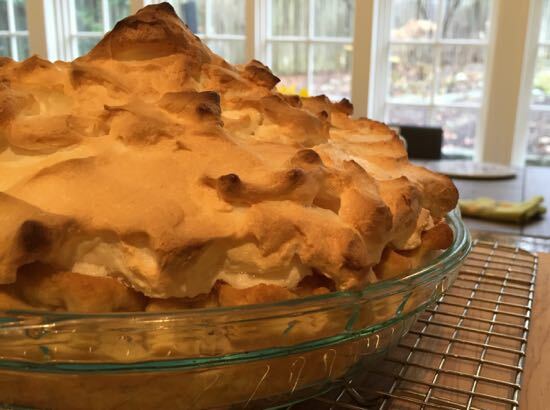 She piled the meringue in the center of the pie and popped it in the oven. It emerged beautiful with bronzed tips on tall peaks. She set the pie on a rack to cool. When she returned to the kitchen, the meringue had shrunk to the size of a hockey puck, and the same distinctive consistency. She whipped more whites and baked it again. Again, it shrank to nothing. The third time, she began to understand. Make sure the meringue touches the crust, then it won’t shrink as it cools. Clearly, this is an important thing to know about making a lemon meringue pie. I’ll share a couple of my favorite tips and tricks. Once you’ve got this recipe under your belt, you can make this pie in a snap with refrigerator and pantry basics. 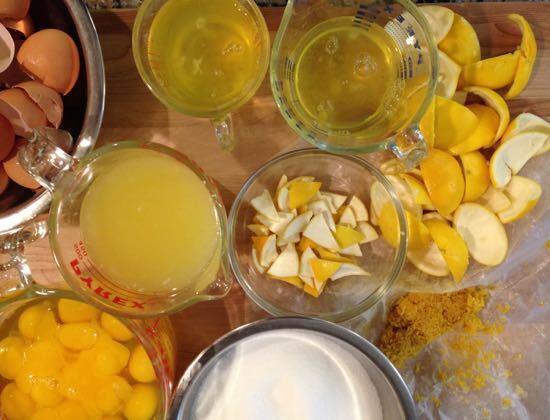 You’ll have leftover egg whites from making lemon curd. Freeze them, too in ziptop bags in one cup or half cup amounts. There will be plenty of lemon peel to candy, too. Beating egg whites is not difficult, but there are a few ways to ensure success. 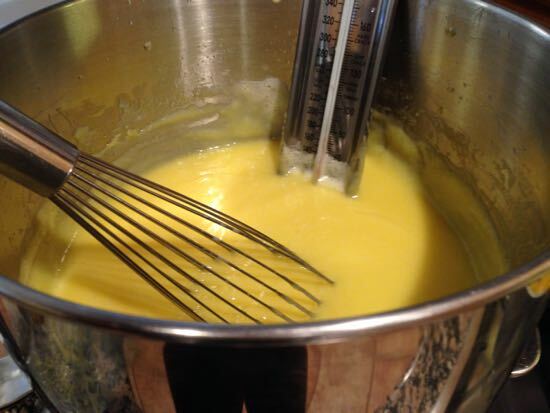 Always use a pristinely clean whisk (or use the stand mixer and the whip attachment and bowl. Any oil or other residues can kill the lift. And there is nothing more disappointing than cutting into a weepy meringue. Whip in the sugar until thoroughly dissolved. Test a pinch between your fingertips. Is it still gritty? If so, keep on whipping those whites until there is no grit, and they are almost, but not quite, dry. Pile it on. Seriously. Pile on those whipped egg whites and bring them to the edges of the pie, to the crust and beyond. Use the back of a large spoon to make very tall peaks. 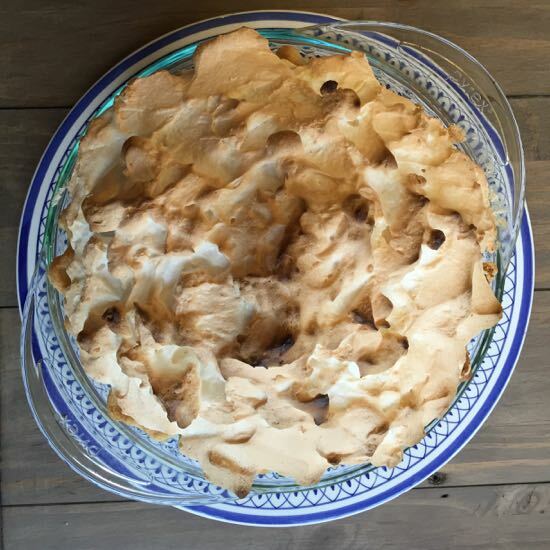 And then let the meringue cook beyond where it’s just browned. Make your kitchen smell like toasted marshmallow. Be brave. Cook that meringue bien cuit. Lemon meringue pie is ethereal. I’m predicting this will become your go-to pie until berry season comes around. Preheat the oven to 425°F. Adjust the rack to be on the lower one-third of the oven. Line a 9-inch pie pan, preferably glass, with the pie crust. FIute or decoratively edge the crust. Prick the base of the crust all over with a fork (called docking.) Place a piece of parchment or foil in the pan and fill it up with beans or pennies or rice. Slide the crust into the oven to blind bake for 15 minutes. While the pie crust is baking, whip the egg whites until they are frothy, add the cream of tartar and whip until the egg whites turn opaque and white. With the mixer running on high, slowly spoon in the sugar one tablespoon at a time. Whip the egg whites until the sugar is completely dissolved. Whip in the vanilla. Remove the pie crust from the oven, lift the foil/parchment carefully, quickly and artfully, and remove the pie weights. Slide the crust back into the oven for 4 more minutes to dry out. Reduce the heat to 400°F. Fill the warm crust with lemon curd. Pile the meringue on top of the lemon curd and make sure to spread it all the way to the crust. Slide the pie back in the oven and bake for an additional 12-17 minutes. Get it caramelized, not carbonized. Watch it carefully. Cool the pie on a rack. For the most developed flavor, chill it for two or more hours after it has fully cooled. I make this curd in a double boiler of sorts. It’s not an official double boiler, but a wide stainless steel mixing bowl that fits atop a medium saucepan half filled with simmering water. The metal bowl from a stand mixer works perfectly. *Use homemade or excellent European butter. In a medium heat-proof bowl over a saucepan of simmering water or in the top of a double boiler, whisk together the eggs, yolks and sugar. Whisk in the lemon juice and zest and heat to 170°F. If you do not like the texture of pieces of lemon zest, at this point, strain the curd through a medium strainer. This reduces the yield just a little. Keeping the curd at 170°, add the butter one tablespoon at a time and stir well. Stir and cook until it thickens. Test by running your finger across the back of a spoon – the trail should remain clear. The curd will thicken further as it cools. Freeze the curd in half-pint or one pint jars. Leave 1/3 of the jar clear to account for expansion during freezing. wow. I was just thinking about making lemon meringue later this week. 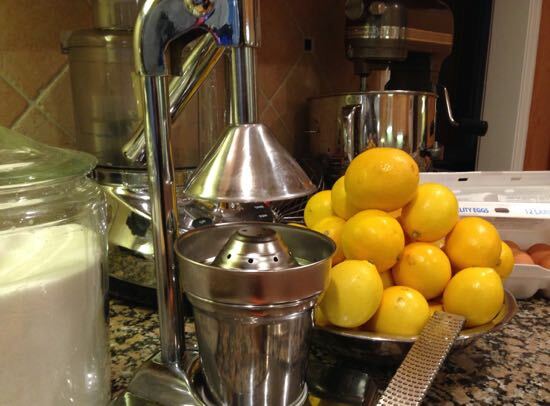 Lemons at my local store were 10 for a buck so between making Limoncello and now pie I’m kind of set. My mom also told the story of making lemon meringue for my dads boss. everything looked good until she sliced it. the pie stayed on the plate and the meringue went sideways sliding off the plate and all over the table. I just ordered a mess of late season Meyer lemons. I can’t wait to make this beautiful pie!! LOVE lemon meringue pie. Thanks for the reminder! this looks lovely. 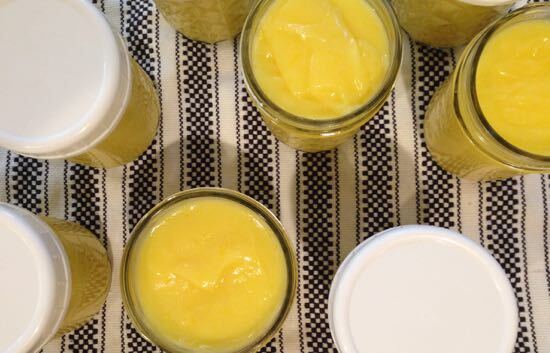 can you recommend a substitute for butter in the lemon curd? is there a way to make the it without dairy? You *can* make curd without the butter- I’ve done that on accident- it won’t have the same mouth feel but it will still be good, and of course the final volume will be less.